These terms and conditions (the “Terms and Conditions”) are the terms and conditions upon which Katherines Florists Limited (“we/us”) makes available to you and any of our services which are accessible on or via the Katherines Florists website. These Terms and Conditions govern your use of the Katherines Florists Site and the Katherines Florists Service. 1.1 All Katherines Florists Products as depicted on this website (as may be varied from time to time) are available almost everywhere in the UK, Channel Islands, Republic of Ireland and Isle of Man. 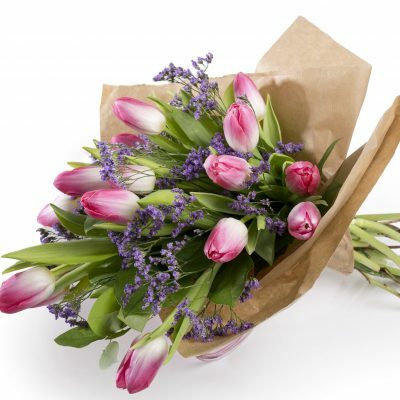 1.2 Katherines Florists Products may be delivered by us in bud to ensure longer life. 1.3 All Katherines Florists Products are subject to availability. In the event of any supply difficulties, we reserve the right to substitute a Katherines Florists Product of equivalent value and quality without notice. 1.4 In the event that we are unable to supply the Katherines Florists Product or any substitute product to you at all, we shall notify you as soon as is reasonably possible and shall reimburse your payment in full and in any event no later than 30 days after the intended delivery date. 2.1 Prices listed within the Katherines Florists Service are valid for a maximum of 14 days of submitting your purchase form. 2.2. Prices include VAT for local deliveries and deliveries within the UK also Republic of Ireland and Channel Islands but exclude Local delivery charge £6.99 Interflora delivery charge £6.99 and the transmission charge for overseas orders £8.99. 3.1 You will be given clear instructions to follow to navigate the Order Form and you shall be required to provide us with your complete personal details, including accurate postcode, together with those of the intended recipient and all necessary payment details. We accept payment by all major credit and/or debit cards other than Solo, Electron, department store cards and any other credit and/or debit cards as we may specify from time to time. By clicking on the ‘Proceed’ button on the Order Form, you are consenting to be bound by our terms and conditions contained in these Terms and Conditions and appearing anywhere on the Katherines Florists site. 3.2 We cannot accept Order Forms from customers under the age of eighteen (18) years. 3.3 Cancellation of orders will be subject to 20% Handling Fee. 4.1 Katherines Florists local delivery charge of £6.99 will be applicable within the Newcastle area, there will be an extra charge for outlying areas which we will advise. Interflora delivery charge of £6.99 will be applicable within the UK, Republic of Ireland, Isle of Man and the Channel Islands. If you request delivery to remote areas which are not normally delivered to by Katherines or an Interflora florist you will be advised. 4.2 Should you require your delivery to be made within a specific time period a ‘deliver before 1pm’/’deliver after 1pm’ service is available. A charge of £4.00 will be made for this service in addition to the Interflora delivery charge of £6.99 and in addition to the local charge of £6.99. The service is offered to orders for delivery within the UK, Republic of Ireland, Isle of Man and Channel Islands (with the exception of Sympathy items). Should you require this delivery service, your Order Form must be submitted (requesting this service) by 1pm 24 hours in advance of the required delivery date (1pm Saturday in the case of Monday deliveries). The ‘before 1pm’/’after 1pm’ delivery service is offered subject to availability and may be withdrawn without notice during busy periods. 4.3 Incorrect personal details may lead to problems or delays in delivery, so before placing your order, please ensure that you have included the full address details, including accurate postcode of the intended recipient and your daytime contact telephone number or e-mail address so that we can notify you in the event that any delivery problems are encountered. 4.6 Sunday deliveries can only be made to our local area and not through Interflora. These deliveries can only be made by prior arrangement by telephone or email before 3pm on the Saturday prior to the intended delivery date. 5.1 In the event that you are not satisfied with the Interflora Service any complaints should be addressed in the first instance to: By email: info@katherinesflorists.co.uk By telephone: 0191 261 6000 By fax: 0191 221 0227 By post: Customer Care Katherines Florists Limited 49/51 Leazes Park Road Newcastle upon Tyne NE1 4PG 5.2 Our Customer Service Team is available from 8.30am to 5.30pm from Monday to Friday & 9am to 4pm Saturday. 5.2 Because of the perishable nature of Interflora Products and in order to assist us in resolving any complaints quickly and to our mutual satisfaction, we advise you to make any complaint within 1 working day of the date of delivery or intended delivery of your purchase. 6.1 Whilst we agree to use our reasonable endeavours to ensure that the Katherines Florists Site and/or the Katherines Florists Service is fully operational and error-free we cannot guarantee this and, therefore, accept no responsibility for any defects and/or interruption of the Katherines Florists Site and/or the Katherines Florists Service and shall be released from our obligations under these Terms and Conditions in the event of any cause beyond our reasonable control which renders the provision of the Katherines Florists Site and/or the Katherines Florists Service impossible or impractical. 7.1 We reserve the right to supplement and amend the Terms and Conditions on which you are permitted access to the Katherines Florists Site and/or the Katherines Florists Service from time to time. We will post any changes on the Katherines Florists Site and it is your responsibility as a customer to review the Terms and Conditions on each occasion you access the Katherines Florists Service or Katherines Florists Site. Changes will be effective five (5) hours after the posting of any such change and all subsequent dealings between you and us shall be on the new terms and conditions. 7.2 Additionally, we reserve the right to suspend, restrict or terminate access to the Katherines Florists Site and/or the Katherines Florists Services for any reason at any time. 7.4 A person who is not a party to the agreement between you and us has no rights under the Contracts (Rights of Third Parties) Act 1999 to enforce any of the Terms and Conditions but this does not affect any right or remedy which exists apart from that Act. 7.5 Save in respect of fraudulent misrepresentation, this agreement (including any documents and instruments referred to herein) supersedes all prior representations, arrangements, understandings, and agreements between you and us (whether written or oral) and sets forth the entire agreement and understanding between you and us relating to the subject matter hereof. 7.6 Your purchase will be deemed to have occurred in the UK. These Terms and Conditions shall be governed by and construed in accordance with English Law and the parties agree to submit to the exclusive jurisdiction of the English courts. 8.1 loyalty points have no monetary value and cannot be converted into cash. 8.2 Points can only be used to purchase the products described on this page. 8.3 Points cannot be used as part payment against items. 8.4 Points do not hold an expiry date and can be used whenever the customer wishes to, within the terms and conditions of the scheme. 8.5 Katherines Florists reserve the right to discontinue the points scheme at any time.